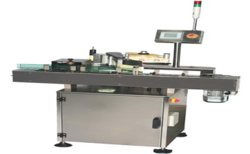 Our product range includes a wide range of wrap around labeling machine, front back labeling machine and sleeve shrink labeling machine. Built in Features in MMI : Automatic label length Detection. No Bottle - No Label Auto label calibration in label scanning mode. Spacer : Motorized belt or a chain spacer for product spacing in both off and on line Feeding of products for libeling. 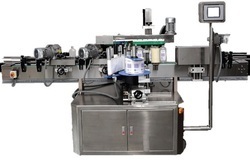 Specific module provided for proper & accurate spacing & aligning of containers to facilitate labeling. Feeding of products for libeling. 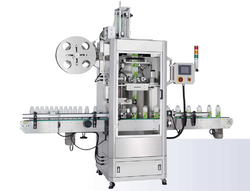 We are leading manufacturer and exporter of Fully Automatic Shrink Sleeve Applicator.